Sarri is under increasing pressure as Blues boss after watching his side crash to an embarrassing 6-0 defeat at Man City on Sunday. The damning stats show that Chelsea are going backwards after dropping out of a top four spot. Sunday's loss was their worst defeat since 1991 when they lost 7-0 at Nottingham Forest and it was also the first time they have conceded four or more in consecutive away fixtures since 1990. Sarri's odds to be sacked before the end of the season tumbled yesterday and he hasn't helped himself once again. 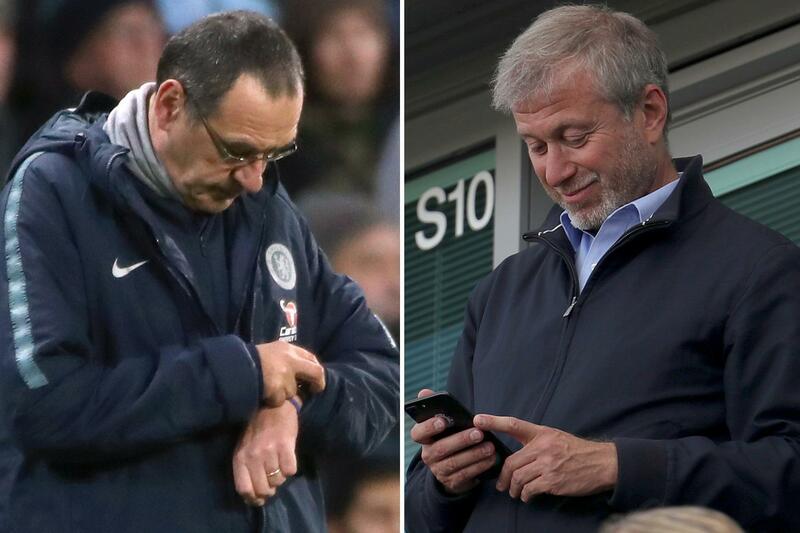 When quizzed on whether he was expecting a call from Abramovich, Sarri sarcastically commented on how the pair never speak. He said: "If the president calls, I’ll be happy, seeing as I never hear from him. "To be honest, I don’t know what to expect. I didn’t see my football. At the beginning of the season it worked. Now we need to understand the reasons why it isn’t working. It is not easy." Last week it was revealed how the owner and former boss Carlo Ancelotti still stay in touch over text. And former Chelsea assistant manager Paul Clement believes it's only a matter of time before the axe is swung. Speaking to beIN SPORTS, Clement said: "There's something going on that's wrong behind the scenes. "History shows that when the team is not playing at the level that is required, and expected for a club like that and what they've achieved over the years, they do take measures. They will act."